Over 300 journalists, and leaders in institutions that make policies and decisions related to media convened for the walk to remember journalists killed during the genocide against Tutsi in 1994. The walk started from Car Free Zone in Kigali City Centre, an area with particular history about media as it used to be the headquarters of RTLM — an infamous radio station known for spreading hate speech that fueled the Genocide. 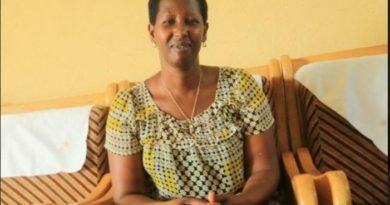 As a show of respect to the journalists who fell victims of the genocide, at 18:30 pm, all radio stations in Rwanda broadcast a similar message underscoring that the genocide will not reoccur as media has detached itself from content that divides Rwandans. 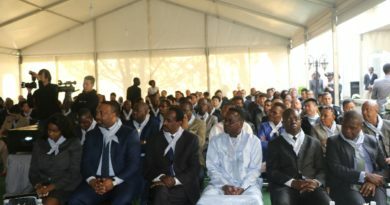 A moment was taken to observed and read the names of 60 genocide who fell victims of the Genocide. Delivering his closing remarks, Prof. Anastase Shyaka, Minister of Local Government stated that the 60 journalists remembered paid the price of defiance, fighting for professional journalism. 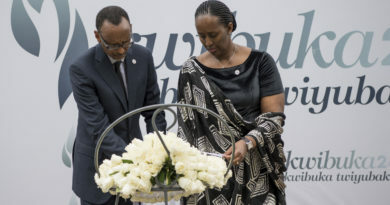 He said that the media failed to play its role to hold leaders accountable and set the agenda to foster unity among Rwandans, rather spread hate speech and divisive ideology that led Rwandan society into darkness. But, the Minister lauded Rwanda’s post-Genocide media for its contribution in the country’s reconciliation agenda and socioeconomic development. 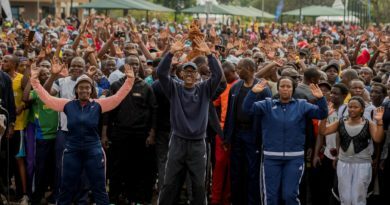 “Surveys we did in the last three to four years showed that the media is coming closer in terms of public satisfaction, above 80 per cent of public opinion say that media is doing a good job,” he indicated. Cleophas Barore, the Chairman of the Rwanda Media Commission (RMC), said that journalists should be professional and have the ability to assess the impact of the messages they deliver to their audiences. “Journalists should avoid being used as instruments of spreading hate and venom. 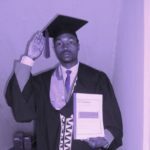 A journalist should verify, analyse and further analyse the source of information and its potential impact on society before broadcasting, writing or publishing it,” he said. 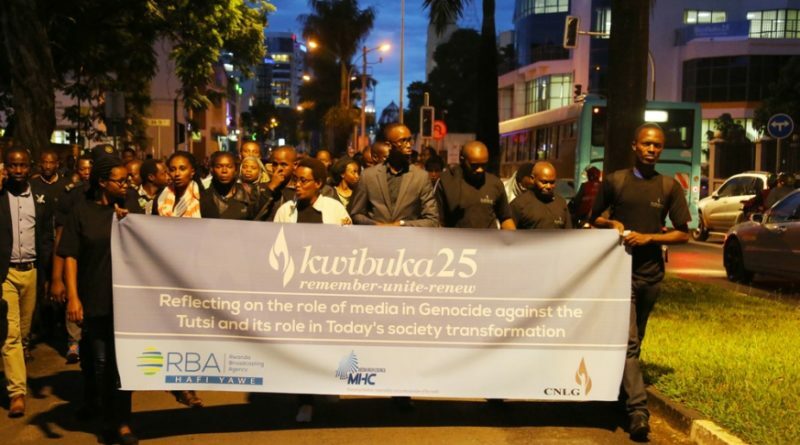 The media fraternity in conjunction with the National Commission for the Fight against Genocide (CNLG) reflected on the media and genocide, and its (media’s) role in rebuilding Rwanda. Experts from the media shared views in a Panel Discussion on media responsibility in the age of fake news, hate speech and denial. The Panel moderated by Novella Nikwigize was comprised of Cleophas Barore, Phil Quin, Jeanine Munyeshuli-Barbé and Jean-Francois Dupaquier. In regards to fake news, Phil Quin observed how the New York Times portrayed the 1994 Genocide against Tutsis, as ‘Tribal fights’; which further caused the International community to not replicate, since it was designated as ‘tribal fights’. Still, he noted that this was among the very first failures of the Western Media to properly report what was going on, for the Genocide to be stopped. The day of reflection on Media and Genocide closes with various insights shared between the Media fraternity. A day of remembrance, sadness but also hope for a better society.